The gigantic saucer eyes, the enormous ear-to-ear grin revealing a wall of pearly white teeth, the baby talk and platinum bob have graced American stage, movie screens and television sets for longer than many people have been alive. 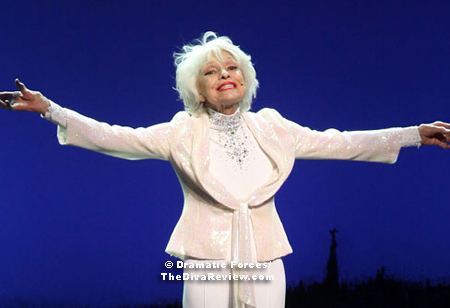 In her ninth decade of life, Carol Channing has made a document of her incredible life that is as delightful and effervescent as the bubbly star herself. Director Dori Berinstein (Who we interviewed for her previous film, Gotta Dance), sets the stage in the heart of Broadway with her subject; thin, fragile-appearing, but full of energy and sharp as a tack. 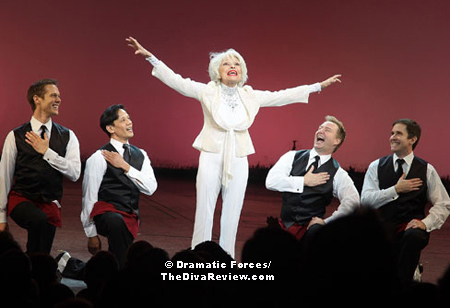 Right off the bat, Carol Channing regales us with stories of her decades on The Great White Way and some of the other legends she has known. Her chance meeting with some twenty-something Broadway “gypsies” at a stage door finds the young men practically kneeling at Channing’s feet. Her words to the dancers sound more like a starry-eyed young girl who truly believes in the power the stage has over its audience and what a privilege it is to be allowed to entertain. Awfully down to earth for a living legend, she poo-poohs any ovation she receives at the revelation of her approaching ninetieth birthday with a wave, quipping, “it’s just one of those things that happens.” We’re taken back to Channing’s early life in San Francisco as a child who initially learned to entertain others by creating her own make-believe world. Her first appearance before an audience had her immediately and irrevocably hooked; Channing even chose a university based on her desire to perfect her stage craft. We are shown photographs of Channing’s childhood, which we later discover she claimed were burned in a fire, possibly to derail any correct suspicion that she was, in actuality, one quarter black; a fact Channing claims not to have known until her mother confessed shortly before her daughter entered college. Channing’s unrelenting schedule of stage runs, road tours and promotional appearances that continued for decades, gives us a portrait of a person for whom entertainment was a devotion, not an occupation. Berinstein takes us behind the glamourous costumes and blinding smile to show us, albeit briefly, and with precious little comment from Channing herself, the sacrifices she made to follow this life; including suffering a long-standing, unhappy marriage to one tyrannical husband, who ended up running off with all of Channing’s hard-earned fortunes. We have a very quick reference to Channing’s only son, who never appears in the film to give his testimony to the star’s painfully honest admission that her career came before motherhood. It’s clear to the viewer that Channing’s true family was the troupe: The men and women she worked with to create glittering fantasies to delight the audience. 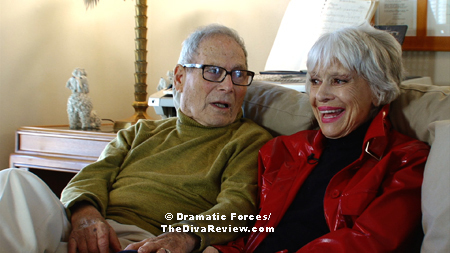 Interviews with other Broadway legends like Jerry Herman, who composed Channing’s signature play, Hello, Dolly, Chita Rivera and Tommy Tune give wonderful insights and anecdotes. (For all the interviews by Channing’s peers, I was a bit puzzled by the inclusion of 1980’s sitcom star, Loni Anderson, who seems only present to relate to Channing as a funny blonde.) 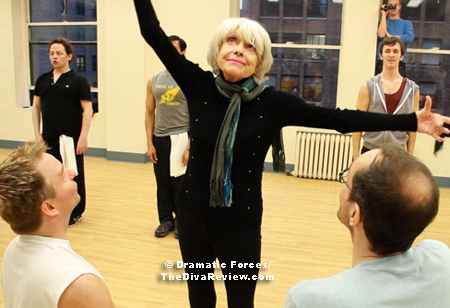 A group of dancers who worked with Channing on two separate revivals of Hello, Dolly, twenty years apart, talk of her innate kindness; recalling the star stopping a show in order to check on an exhausted young dancer suffering from HIV. 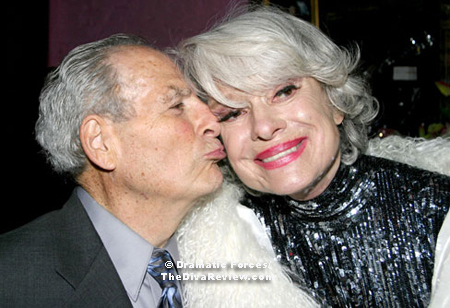 Journalist Barbara Walters captures what separates this entertainer from so many others when she tells of never having heard anyone ever say a mean thing about Carol Channing. Along for the trip down memory lane is Channing’s husband, Harry Kullijian, her childhood sweetheart, whose memories -- like his spouse’s -- are clear as a bell. The love story of Carol and Harry, spanning more than seventy years of missed opportunities and well-meaning errors, is one of the most moving aspects of the film. They are total soul mates: Harry’s off-hand sense of humour and supportive pride for his mate and Carol’s adoration of her man are completely undiminished since the photos of the pair together as teenagers with hearts practically flying out of their eyes. It’s the kind of relationship people of any age dream of, and to see it in full boom with both of the subjects closing in on a full century is remarkable. The viewer comes away with the feeling that Channing’s years spent with her Harry might have been the happiest of her adult life. It makes the documentary that much more poignant to know that just weeks before the film’s opening, on December 26th, 2011, Mr. Kullijian passed away on the eve of his ninety-second birthday. Still, the romance that is captured onscreen is a lifetime’s worth and a lovely sunset for this amazing lady who gave her all in the name of entertainment. Berinstein has a humanistic, instinctively emotional approach to her documentaries that is involving and fun. Her choice of subject does help a bit in that regard; the still-bubbly, chatty Channing could charm Mount Rushmore. Berinstein uses an animated version of the famous Al Hirschfeld caricature of Channing as Dolly Levi to introduce new segments and the effect is adorable. The archival footage of the star singing Diamonds Are a Girl’s Best Friend through several decades and mediums and multi-administration command performances at the White House, is great, as is Channing’s groovy appearance on the groundbreaking 1960’s comedy show, Laugh-In, with fellow alleged dumb blonde, Goldie Hawn. There is a lot to focus on in Channing’s career, disappointments as well as highlights: Berinstein examines Channing’s inability to be as accepted in Hollywood as she was on Broadway, including the doc’s one slightly catty moment where Channing evinces studied silence as a reaction to anyone asking her how wonderful Barbra Streisand was replacing her in the film version of Hello, Dolly. Strangely, the same question isn’t broached earlier in the film with the first evidence of Hollywood’s schadenfreude, when Marilyn Monroe took over Channing’s star-making role, playing Lorelei Lee in the movie version of Gentlemen Prefer Blondes. One senses that the documentary is more meant to be a celebration of Channing and her work, and so sadder points that may have existed in her personal life are only lightly handled and then spoken of kindly by friends such as Debbie Reynolds. We see Channing as disciplined as an ascetic to her craft and to the rigors of the road; shamefacedly confessing to having missed half a performance in Kalamazoo due to food poisoning -- her only need for a stand-in, ever. As she prepares to perform at the Kennedy Center Honors for her friend, Jerry Herman; the elderly star, thin and frail of form, is willing to work as hard as any of the young pups twirling about behind her, wanting to learn her cues and do all that is expected. 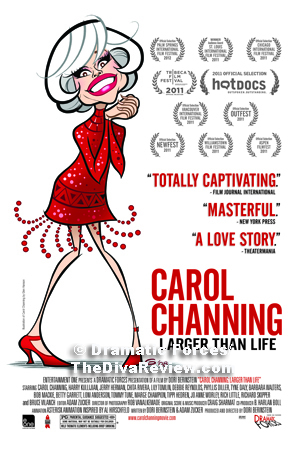 Carol Channing: Larger Than Life is an inspiring, engaging and emotional portrait of an artist and the decades of commitment she dedicated to making her dreams and those of her audience come true.